A federal court judge has rendered a decision on the Maui County farming ban. I feel as though I should be jumping up and down and cheering, but oddly, that’s not been my reaction. First, I cried a bit in relief that we all still have a job on this island we love. I didn’t realize how much this weighed on my mind until the text came yesterday afternoon. I felt my body relax for the first time in a year, and the tears just rolled out. The unemployment rate in Maui County wasn’t about to skyrocket. agrees that SHAKA has failed to comply with Local Rule 56.1. I’m no lawyer, but it sure sounds like this group couldn’t produce any evidence when it was requested by the court. Which makes the following screen shot that much more relevant. 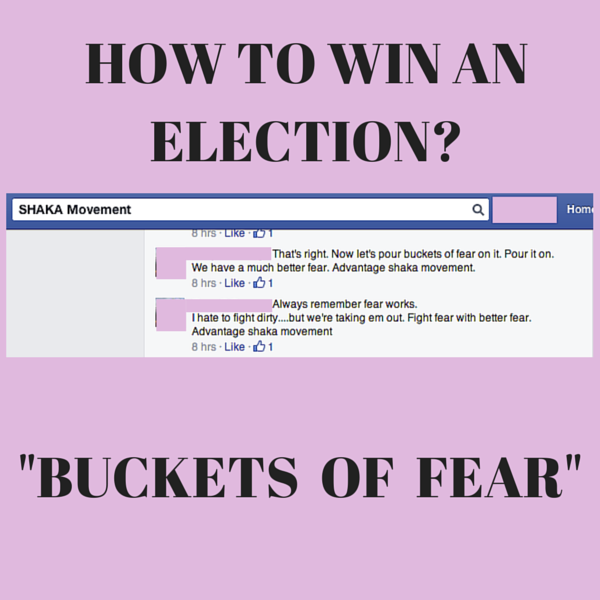 When you’re short on facts, just throw buckets of fear on the fire and see if you can win that way. It obviously worked, and that’s no surprise. Anytime someone tells you that you are being ‘poisoned’, it strikes fear in your heart. It doesn’t matter if there is evidence, just the mere suggestion of harm stops most people short of critical thinking. Thankfully the judicial system doesn’t think with emotions. They deal in facts. This article originally had around 50 screenshots I planned to share with you about the bad behavior of the activists. Screenshots of this group’s members wanting me personally to drink Roundup (or be sprayed with it), screenshots of various ways I and Monsanto employees should be murdered, screenshots of racist drivel and death threats, photos of our family, and best of all, our home address. Oh, how I wanted to show their ugliness and highlight their names. But sometimes, a “come to Jesus” moment happens just in time. Yesterday morning Kevin Folta posted an article about taking the high road. He talked about his own screenshot file and called it his “little treasure of anger nuggets“. In posting my collection of activist’s anger nuggets about my family, I would only be creating anger nuggets for someone else. I would behave in exactly the same way this group of activists on Maui has been behaving for the last year. My collection of anti-GMO anger nuggets will sit in blog purgatory forever, right where they belong. Where does this ruling leave us in Maui County? Monsanto seems to be a few million dollars poorer and the county has wasted untold resources dealing with this invalid initiative. 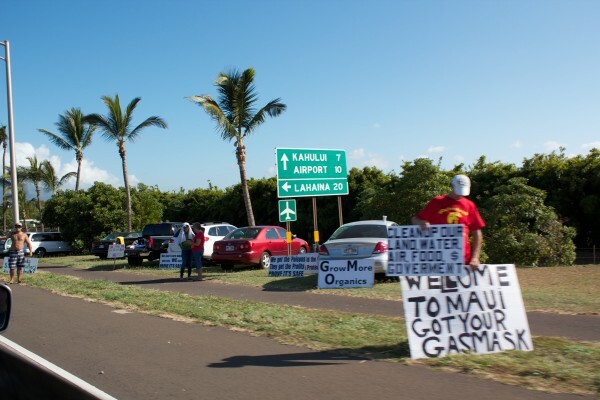 Activists are no closer to getting the “proof” they want, and the general population of Maui is left wondering, “Am I being poisoned?”. I really don’t see any of this as a win. The protest outside the farm this morning. Yet another attempt to harm tourism and the economy of Maui. The numbers peaked at 40 people, 2 dogs, and 1 cat. In the end, it leaves us right where we started about a year ago. Protesters are shaking their collective fist about something they have no evidence to support, and Monsanto is again offering to give tours to those interested in learning more about their operations on the island. Exactly what they were both doing a year ago. The question is, will the people of Maui County try something new this time? Will they decide to learn more about agriculture? I, for one, hope our community is ready to try a new tack. Can we try things the way they were done a few decades ago when people of many different backgrounds and beliefs learned to live together on a tiny island? Where a new language was forged that helped everyone feel heard? No one should feel ignored. Monsanto and Dow can’t possibly have missed the message that people here have questions about what’s going on in the corn fields. From what I’ve seen, they are responding by offering to have a conversation, perhaps give a tour so everyone can see firsthand what they do here. The offer is there, it just needs to be accepted. Continuing down this path of protests and fist-waving isn’t going to get us anywhere. Perhaps, a conversation is in order. Tags: #highroad, biotechnology, conversations, election, GMO, Hawaii, Kevin Folta, Maui, Maui County, Mollway. Bookmark the permalink. I can’t imagine how stressful the situation has been. It is a wonderful moment when fact beats fear. Wish we could develop a “hate law” of sorts to contend with these scary threatening people. Keep up the good work over there!